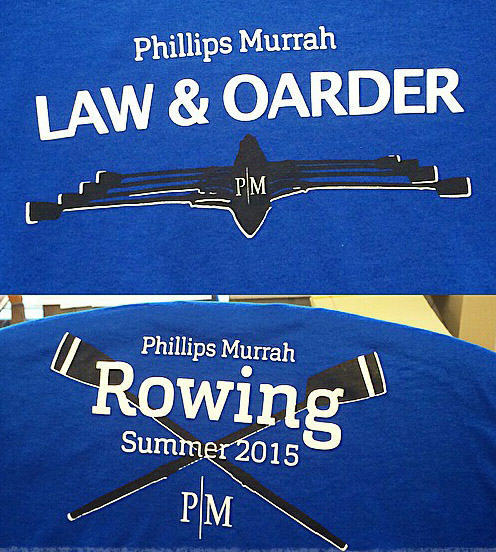 Community - Phillips Murrah P.C. 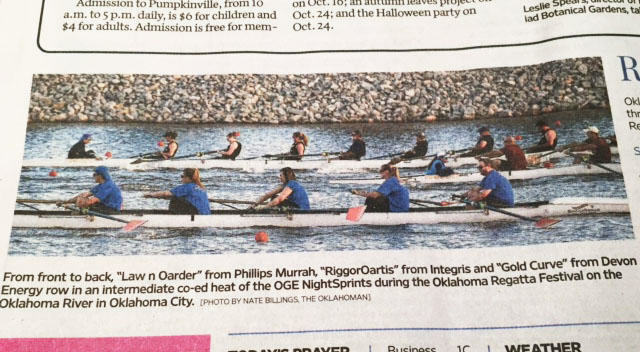 Oklahoma Law Firm Phillips Murrah presents Blocks for Bucks donation to OKC Thunder Cares Foundation. 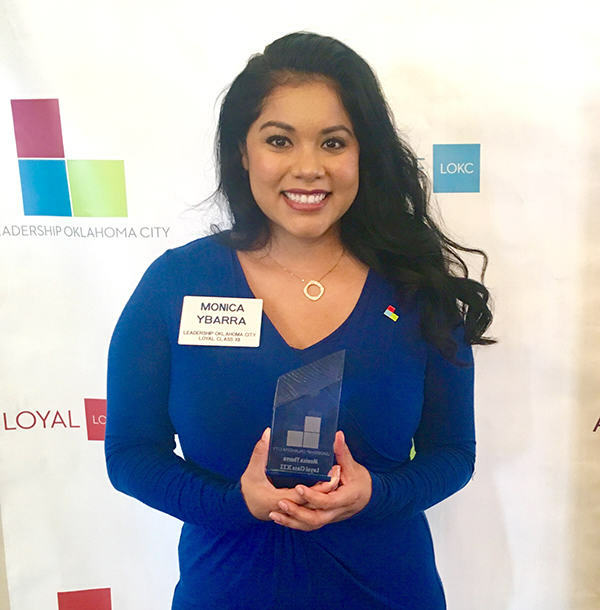 During the final game of the 2017-2018 regular season, before a sold-out crowd, the law firm of Phillips Murrah presented a check to the Oklahoma City Thunder‘s charitable organization, the Thunder Cares Foundation. The pre-game, mid-court check ceremony and donation of $16,700, on Wednesday, April 11, was the capstone for the season’s promotional campaign called “Blocks for Bucks,” where our Firm recognized our home team’s prowess at blocking shots by donating $100 to Thunder Cares for each blocked shot that the Thunder forced at home games during the regular season. By the end of the game, the donation had climbed to an official 2017-2018 amount of $17,000. The Thunder Cares Foundation helps support the team’s community outreach projects, including Thunder-themed basketball courts in parks, schools and community centers across Oklahoma, as well as learning labs and activity rooms at organizations like the Boys and Girls Club of Oklahoma County, City Rescue Mission, and Positive Tomorrows, a school that serves homeless children in Oklahoma City. In celebration of the Thunder’s 10th season, the Thunder Cares Foundation is funding a matching grant through DonorsChoose.org in support of Health & Sports projects in public schools across Oklahoma. 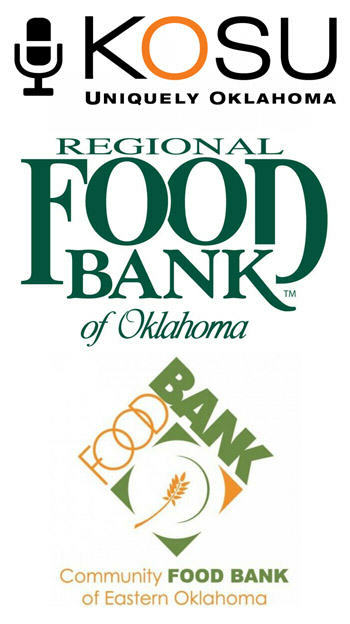 Phillips Murrah would like to thank the Oklahoma City Thunder for a great season and the wonderful experience of supporting the Thunder Cares Foundation! Below: At the game that kicked off our Blocks for Bucks partnership campaign, KD gets blocked during the Nov. 22 Thunder victory over the Warriors. OKC Thunder play-by-play announcer Brian Davis talks about Phillips Murrah’s Blocks for Bucks campaign. Click the image below to find out more details about Blocks For Bucks benefiting Thunder Cares Foundation or go to www.nba.com/thunder/blocksforbucks. Click to find out more details about Blocks For Bucks @ www.nba.com/thunder/blocksforbucks. As Paul George shoots a free throw, OKC Thunder play-by-play announcer Brian Davis talks about Phillips Murrah’s Blocks for Bucks campaign. It’s that old, familiar basketball smack-talk line that gets served up after a blocked shot like a one-two punch. If you’ve ever played basketball with any amount of skill, surely the feeling of shutting down your opponent’s attempt to score still resides in the halls of your memory. The excitement of a well-delivered blocked shot is one of the sport’s great thrills – perhaps even up there with the slam dunk and the alley-oop assist. 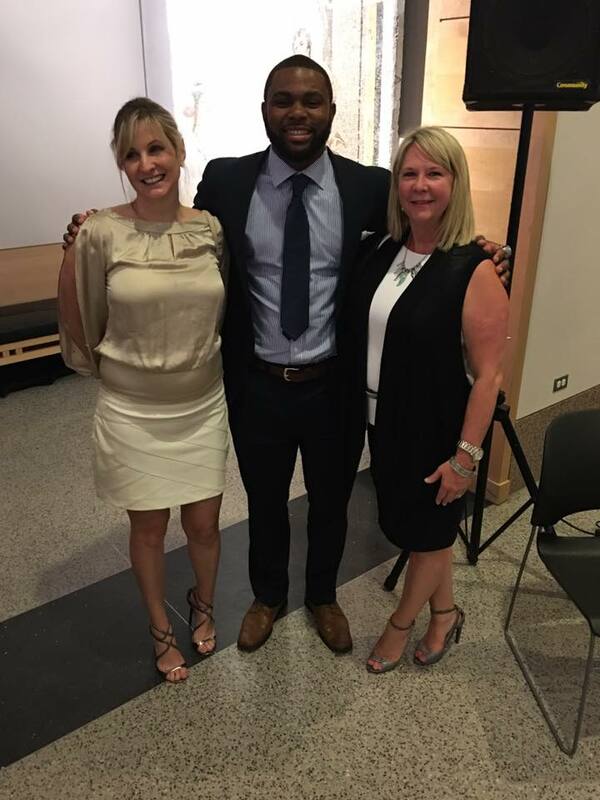 Beginning with the Nov. 22 Thunder vs. Warriors game, the law firm of Phillips Murrah began a new partnership with the Thunder Cares Foundation called Blocks For Bucks. 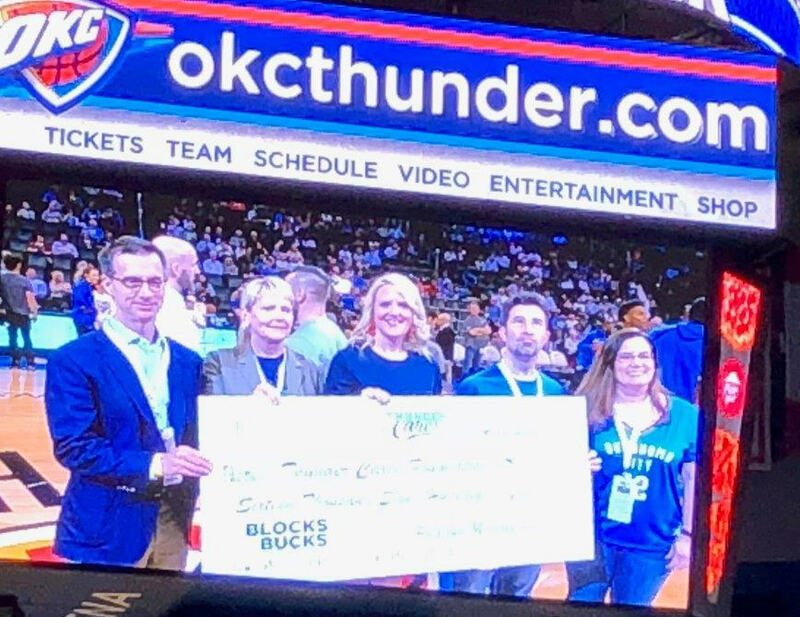 To recognize our home team’s accomplishments in blocking shots, Phillips Murrah is donating $100 to the Thunder Cares Foundation for each blocked shot that the Thunder forces at home games during the regular season. You can check into the Thunder Cares Blocks For Bucks landing page throughout the season to see an updated Blocks Counter, a total amount of funds raised and videos snippets of key blocks highlights, including the one below. KD gets blocked during the Nov. 22 Thunder victory over the Warriors. 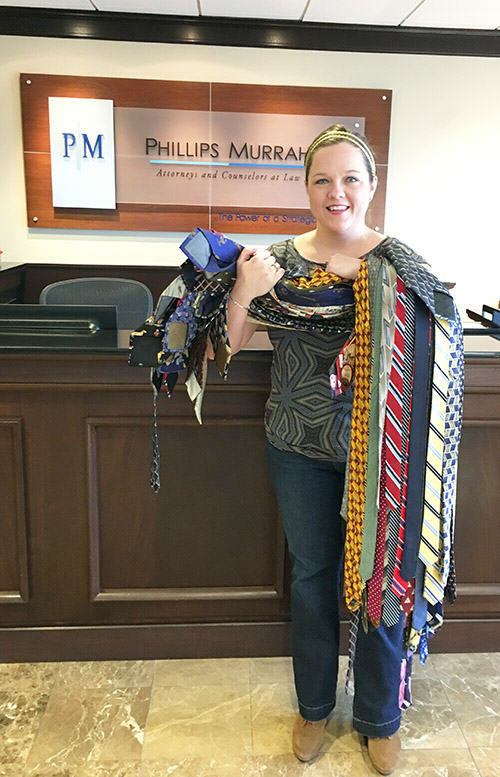 Journal Record journalist Molly Fleming holds ties donated by Phillips Murrah. 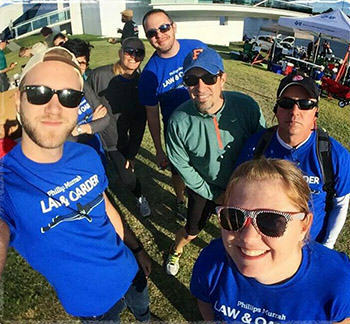 Attorneys at our Oklahoma law firm Phillips Murrah rallied overnight to help Journal Record reporter Molly Fleming collect neckties for Tie Day. Our attorneys donated just over 52 ties, which Molly will bring to a couple of local elementary schools, where they will be given away along with lessons on how to properly tie them. You can find out more about Tie Day here. Phillips Murrah’s Rae White, Michelle Campney, Nanette Morris and her family stand at Race for the Cure. 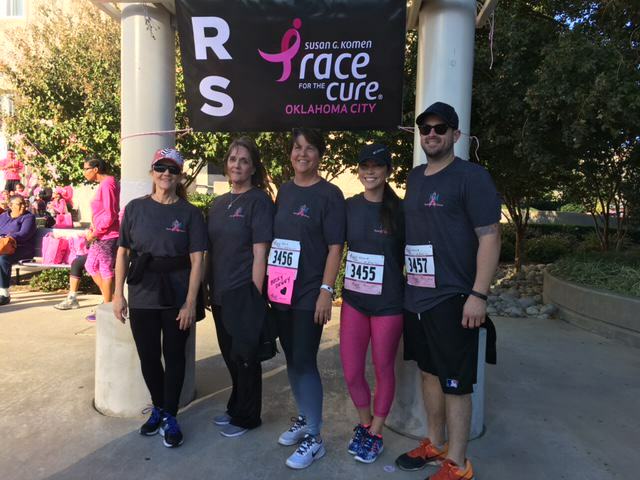 A group of Phillips Murrah employees joined together in late October to participate in a 5K for Race for the Cure at Bicentennial Park at the Civic Center Music Hall. “My family and I have participated in the Race for the Cure for a number of years,” Paralegal Nanette Morris said. “We have had friends, luckily not any family members, that have been affected by breast cancer and have seen how devastating the disease can be. Morris, along with A. Michelle Campney, Lisa McAlister, Rae White, and their families showed their support for the cause. “Cancer, of all kinds, has affected my friends and family and I wanted to show my support by participating,” said White. To learn more about Race for the Cure and to find ways to donate to the cause, visit the Susan G. Komen website here. Director Jim Roth presenting at the Solar Summit for Sierra Club. Jim Roth, Director and Chair of Phillips Murrah’s Clean Energy Practice Group, presented at the Solar Summit for the Oklahoma Chapter of the Sierra Club on Saturday at Oklahoma State University-Oklahoma City’s Student Center. “Jim Roth’s former role as a Corporation Commissioner and his current work on cases involving the Oklahoma Corporation Commission, along with his intelligence and his consummate people-skills, make him a perfect fit for helping to educate Oklahomans about the truth regarding solar energy,” said Johnson Bridgwater, Director of the Oklahoma Chapter of Sierra Club. The summit is a non-partisan, public event aimed at developing discussion to help move Oklahoma from its current position at the bottom of solar-producing states to fulfill its projected capacity of becoming 6th in the nation in solar energy production, Bridgwater said. “The summit was a great opportunity for Oklahomans to learn about our state’s native solar potential, the ability for citizens to take advantage of this free fuel source and what the energy future looks like,” Roth said. Learn more about the Oklahoma Chapter of Sierra Club here. Steven Goetzinger is a business attorney whose practice focuses on real estate issues unique to the oil and gas industry. Attorney Steven J. Goetzinger is beginning his second term as mayor of Nichols Hills. He joined the Nichols Hills City Council in May 2011 and was first elected mayor in 2013. He represents Ward 3. Goetzinger was born and raised in Woodward, Oklahoma and now resides in Nichols Hills, Oklahoma. He is currently a member of the Oklahoma City University School of Law Executive Board. His law practice centers on oil, gas and real estate law. He currently serves as general counsel to an independent oil and gas company in which he is also a member. The Oklahoma commercial real estate industry has a new organization for women practitioners called Commercial Real Estate Women, or CREW. It is a professional network that represents multiple disciplines within the industry, including lawyers, developers, bankers, architects and engineers. “We have an outstanding group of initial board members,” said Phillips Murrah Director, Sally A. Hasenfratz, who is a veteran real estate attorney in the Firm’s Real Estate Practice Group. CREW-OKC was founded with the intention to become a local chapter of the national CREW Network. Vicky Dunning, who is on the national board of the CREW Network spoke at the meeting. Requirements for full membership are that members must work within a qualified field of commercial real estate with five or more years of experience and hold a leadership role within her company or organization. Jane Jenkins, president and CEO, Downtown Oklahoma City Inc.
Cathy O’Connor, president, The Alliance for Economic Development of Oklahoma City Inc.
Carla Sharpe, attorney, Williams, Box, Forshee & Bullard P.C. Monica Wittrock, senior vice president-central states region, First American Title Insurance Co.
Director Heather Hintz with Ned, the dog she helped transport. Free time is sparse for attorneys, but Phillips Murrah Director Heather Hintz uses hers to help animals travel across the country. Animals that require transport are typically dog and cat rescues that have special needs or can’t be placed where they are, or rescues that are about to be euthanized. Animal welfare networks, animal shelters, and volunteers arrange for the dog or cat to be moved to another place where someone has agreed to place the animal and provide surgery or other animal welfare-related needs, she said. Various organizations function as transport organizations. Once a volunteer has been ‘vetted’ or recommended as trustworthy, that person gets on a transport list. When there is a need to move dogs or cats across the country to be re-homed, a very detailed route list is prepared by a transport coordinator, broken down into segments with start and stop times, she said. Buster, a Jack Russell Terrier, at a rest stop during a transport. 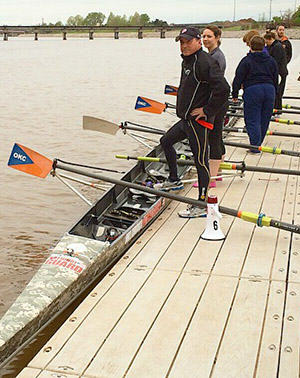 “I thought it would be a rewarding experience, so I signed up,” Hintz said. “I made arrangements with the person who would be dropping Ned with me, and we met at a fast food place. That driver handed me Ned’s papers, his water bowl and some treats, and Ned got into my car and I drove him to Wichita, Kansas. From conception to completion, the details of transporting animals are particular and sensitive to ensure the animals’ safety. “If you happen to be on the route, you get the email saying ‘transport assistance needed’ showing all the segments, and you can sign up for a segment,” Hintz said. “It is very structured – you have to make arrangements ahead of time and at each hand-off, and both the person handing off and the person picking up need to notify the coordinator on the spot that the hand-off has been completed. Though there are many details and hours involved in making sure the task is completed, the overall mission is personally rewarding. Hintz assisted in another transport last summer involving four white German Shepherd puppies moving from Austin, Texas to Colorado, and an older Jack Russell Terrier moving from Texas to the Wisconsin Dells. The mission was special in that they were all picked up in Wichita by 2 different pilots who flew them to Colorado and Wisconsin, for no cost, as volunteers. Those interested in contributing can get more info from Deaf Dogs of Oregon’s website here. Phillips Murrah Attorney Gretchen M. Latham will join the Vatterott College (OKC Campus) Program Advisory Board for Business and Paralegal Studies on Feb. 23. Latham’s duties will require her input on requirements for the Paralegal Studies Program so future graduates are assured success upon entering the legal field. 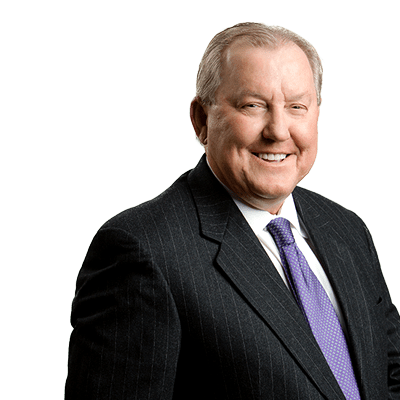 Terry L. Hawkins is a Director of the Firm and is Chair of the Public Finance Practice Group where he has more than 35 years experience in municipal finance projects. Phillips Murrah Director Terry Hawkins was appointed to the Board of Governors of Oklahoma State University Foundation in October for a six-year term. To be appointed to the Board of Governors of the OSU Foundation, candidates have to be nominated by someone currently serving on the board. 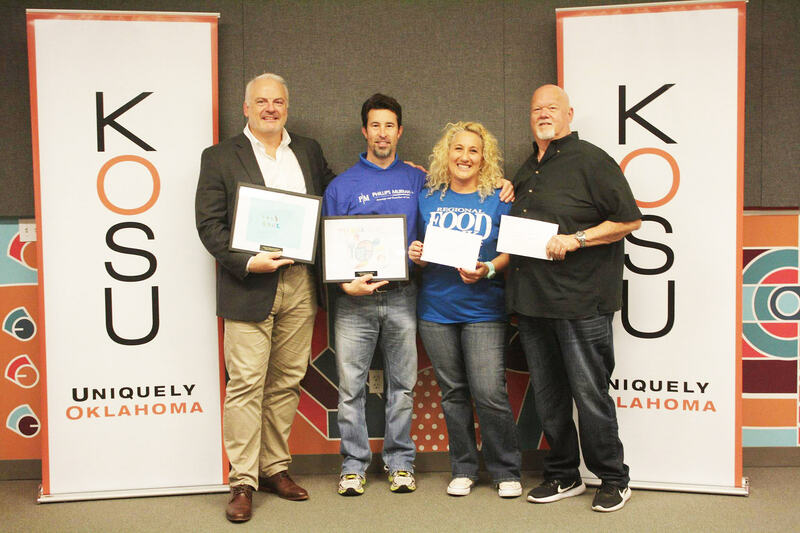 Typically, nominees have been involved in raising funds for the foundation or assisting Oklahoma State University in its academic efforts. A nominee must be approved by the Board of Trustees, which is the governing board of the Foundation. The foundation’s primary purpose is to raise funds for OSU, invest these funds prudently and maximize the support given to OSU by its alumni and current and prospective donors. These funds are critical for OSU as it fulfills its land grant mission to provide access to education for students, by providing scholarships, he said. The OSU Foundation started in 1961 with one officer raising a few thousand dollars and growing to now exceeding $1 billion in total donations. To learn more about the OSU Foundation or to contribute, visit osugiving.com. Congratulations to Director Jim Roth for his efforts at this year’s Society of Environmental Journalists 25th Annual Conference, titled Environmental Journalism 2015 – Weather, Water, Energy: News in Every Neighborhood. In addition to Jim, the session featured speakers, Denise Bode, Attorney and Principal, Cornerstone Government Affairs and Kyle Isakower, Vice President, Regulatory and Economic Policy, American Petroleum Institute.